We've seen Exile on Technique Recordings before. His dark and twisted track Listen & Run hit hard as part of the label's Back to the Beat Volume 1 mini-compilation in 2018, and now he's back with a four-track EP all of his own. So, with the space to really show all aspects of the Exile sound, what's he going to bring to the table? We open in an landscape made from equal parts soothing pads and unsettling hints of the mayhem yet to come. After all, we know a track called Let's Go Mental, featuring rising emceeing star Miss Melody on the mic, is guaranteed to be explosive. And the pounding drop, with monstrous tendrils of bass stretching underneath the punchy two-step beat and break-laden fills, delivers dynamite in abundance. Play Bass begins by lulling us into a dreamlike state with distant echoes of percussion and alien tones. A sparse, spacious, and moody drop is, as the title suggests, all about the contagious drive of that bassline. With a junglistic edge adding to the shadowy technoid vibes, this is going to find a place on discerning deejays' USBs whatever their preferred flavour of DnB. Things seem to be turning towards the light in the intro of Woo Sound. Touches of jazz and funk set the tone, and we could be headed for a chilled liquid roller. Not this time, though. 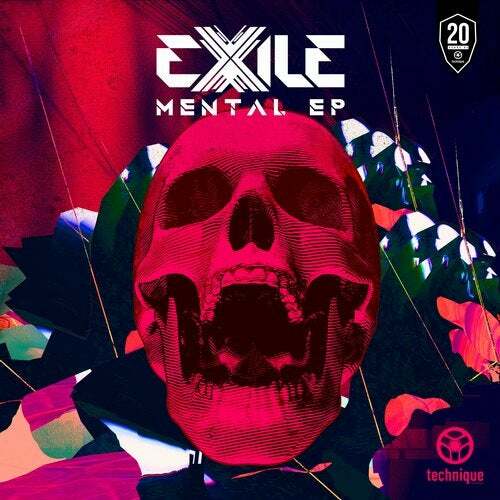 As a savage bass drops, then evolves and modulates through technoid atmospherics, this tune is going to grab the rave's attention and refuse to let it go. Finally, we have the vocal epic Nothing's Changed. Kat Howell provides the hook, soaring over filtered drums until the full majesty of the drop is unleashed. With its combination of raw bassline energy, twisted timbres, and break-heavy drum programming, leading to a euphoric hands-in-the-air breakdown, this is wheel-up-and-come-again music. As the saying goes, if you don't know, you'd better get to know. Exile's blend of musicality and aggression drives right to the heart of contemporary drum 'n' bass, and we can't wait to see what's next.